Social Media affects different aspects of our lives, one of them being dating. Why are dating apps so successful? Do these lead to egoism and one’s entitlement to cheat? Have they changed our view on monogamy? What effect social media platforms have on our relationships, especially breakups? 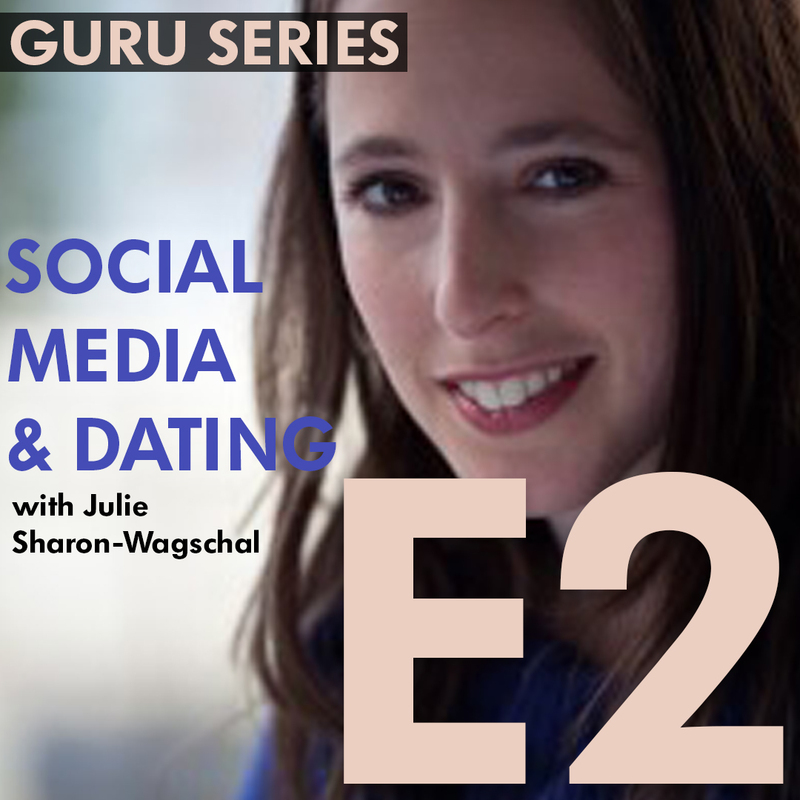 Julie Sharon-Wagschal (http://www.balanceyou.net/en/), a psychologist specialized in Couples Counseling, joins the Fashion Potluck Team to discuss different aspects of social media and effects it has on the dating scene. Hello everyone and welcome to our Fashion Potluck Podcast sessions. My name is Una and I’m the content manager of Fashion Potluck and I am here with Julie Sharon-Wagschal, a psychologist specialized in Couples Therapy and she's based here in Amsterdam, the Netherlands. I am also in company Luis Galdamez Echeverria. He is the founder of Fashion Potluck and he's here to give us his male perspective because today we're going to be talking about relationships and social media. And, we are also based now in our office in Amsterdam. Julie - Thank you. Nice to be here. Una - Nice to have you here! So, our first question is - Why do you think dating apps are so successful? Are people too busy to meet people in real life? Or is it just easier to meet people online? Julie - I think dating apps are so popular because people want to find love. They want to have a partner and now that we have this technology it's a way to make that happen. And it's a little bit of a safer way. So, it's a way to kind of look through all the potential partners out there and to be a little picky about what you want and who you choose to meet. So, it's very convenient. People are very into their phones and their technology and. It's hard to remove yourself from it nowadays, right? Luis – Yeah, I think for me it's also definitely there is a finding love aspect to it and there's also the fact that they are really kind of addictive in the sense of it is almost gamification in the sense that you look at pretty pictures, you're seeing people at “their best”. So, you end up kind of like wanting to see who’s next, who’s next, who’s next. But I think for most of us, I’d agree with you, at one level. Julie - There's definitely that addictive quality to it right. Just like all the other the Instagram and Facebook, and this kind of scrolling addiction, so that the same happens in the dating apps. Una – But, dating apps give us the feeling we have endless options of dating choice. What do you think, how does this affect us? Does it lead to egoism? Julie – By egoism, do you mean that people are self-centered? Una – Kind of, yes, they do think they can just have everyone and they have the choice to really swipe right or left. Julie - Well they do, right? So, this is what happens. There is a lot more choice and it's not like you're meeting one person in a bar and have to have a whole conversation. Now you just have this swiping. I don't know if people are more self-centered than they were before. I think people, in general, are self-centered and you want to do what makes you happy or what brings you pleasure. We tend to move towards that. And, this is just a way to do that. I don't think it makes us more self-centered necessarily. It maybe makes us a bit pickier because there're so many options. It's not like you're in, let's say you're at a bar, and there are 20 people then you can choose to talk to. But in an app it's endless. It's endless. Una - Do you feel that dating apps kind of make women more emancipated in a way? Julie - I hope that they were already. By emancipated you mean that they're pickier? Una – Also, that they feel less awkward approaching a guy, texting a guy on tinder for instance. I think that's an improvement. And, before, I assumed they would not approach a guy so easily. Julie – Yes, it could be. And, I also think what is really helping women now is that on social media there's a lot of sharing of experiences. So. there's a normalization of you know what is normal and what is not normal, like “this has happened to me and this has been terrible”. Hey this has also happened to someone else and women are maybe more likely to stand up for themselves or share their stories. You see that of course with the “Me Too” movement. It really strengthens women. So, that's emancipation in a different direction. It's not so much about the partners they choose. Because that, I'm not so sure about. To find out views on Social Media, Dating Apps and Breakups, check out our discussion with Floriana Maione, a Psychologist and Systemic Relational Therapist here!